One hundred year ago, in the waning weeks of the Great War, half of the world's population came down with the Spanish Flu of 1918. Between 50 and 100 million people died. 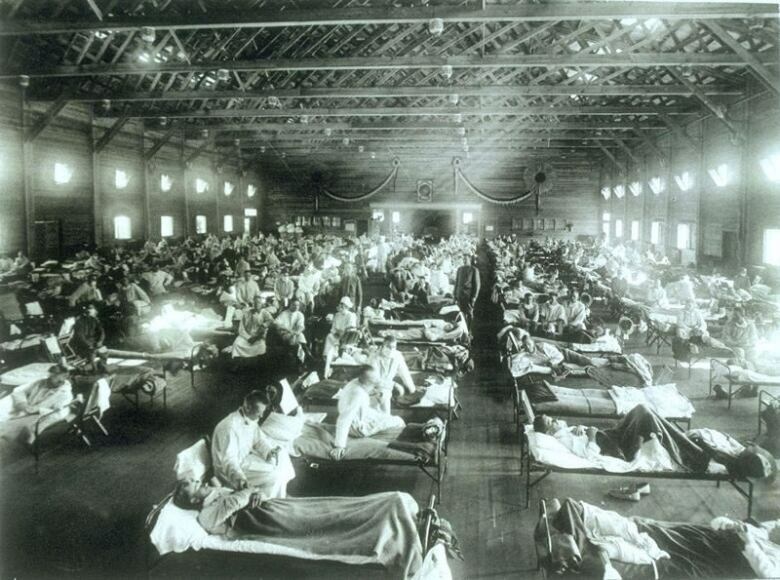 The flu travelled to Canada in the late summer of 1918 and swept across the country within a week. It began with troops crossing the Atlantic, returning home from the Front. Some 50,000 Canadians died and many more became sick. In Montreal, bodies had to be loaded onto trolly cars because there weren't enough hearses to meet the need. By October 1918, influenza was claiming 1,000 Canadian lives a day. In comparison, there were 100 deaths a day on the battlefield. At the time, no one knew what was causing this deadly influenza, or how to treat it. A person could get sick in the morning and be dead by nightfall. Schools were closed, public transportation was shut down, and public gatherings were cancelled. People wore masks, spitting in the street was banned and, in Canada, Prince Edward Island quarantined itself from the mainland. Nothing seemed to work. 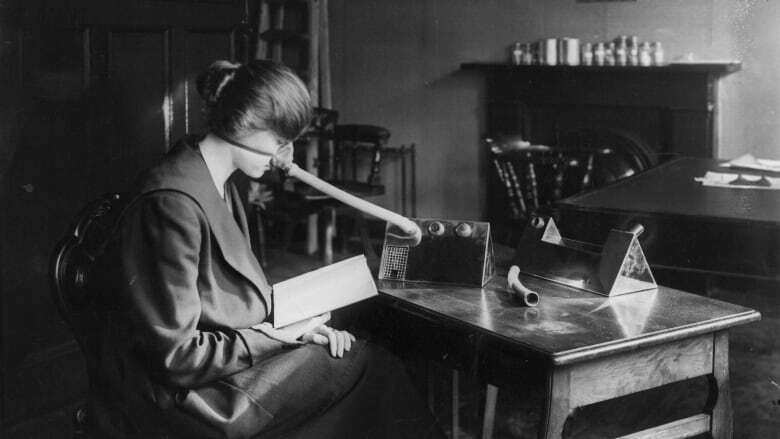 Medical research has come a long way since then. But flu viruses continue to vex researchers around the world. This winter, hospitals are bulging with patients who've caught the season's particularly harsh virus, even if they've had a flu shot. In Canada, at least eight children have died. Finding the right flu vaccine is a crapshoot — sometimes it works, sometimes it doesn't. According to the Centers for Disease Control and Prevention, it's not impossible that the world could face another pandemic like the one of 1918. 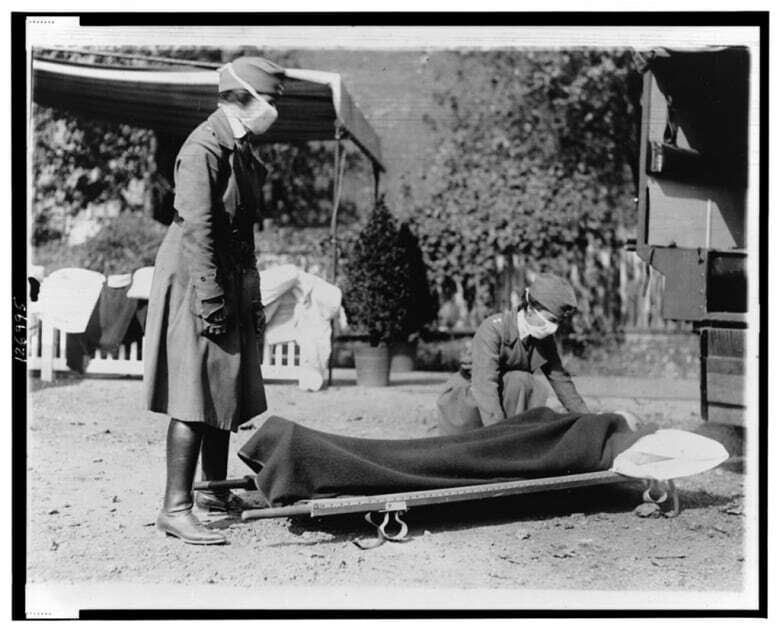 Two American Red Cross nurses demonstrating treatment practices during the influenza pandemic of 1918. (Library of Congress Prints and Photographs Division Washington, D.C. )These are all issues science journalist Laura Spinney wrestles with in her new book, "Pale Rider, the Spanish Flu of 1918 and How It Changed the World". Spinney has written for National Geographic, Nature, The Economist and other publications. She is also the author of two novels, "The Doctor" and "The Quick." Click 'listen' above to hear her conversation with Michael Enright.